A 2016 MMHA Star Certified Community, Fox Glen is a smartly styled, up-to-date community, located on several landscaped acres, in a neighborhood with preserved trees and a stream running through. Though a beautifully landscaped retreat, these Mt Washington apartments are still conveniently close to MTA buses, a Metro Station, I-695, I-83, local shopping and attractions, making convenience, comfort and beauty hallmarks of living at Fox Glen. 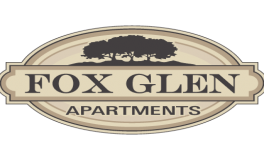 Fox Glen offers unique features including controlled entry, private balconies, a full-size washer and dryer in every apartment and a community swimming pool. Managed by WPM Real Estate Management, you can expect 24 hour emergency maintenance and an unparalleled commitment to excellence. Contact us at (410) 466-7200.